Fall enrollment numbers at Missouri Southern point to another positive year, according to data recorded on the university’s annual Census Day and provided by MSSU’s Office of Institutional Effectiveness. While overall headcount remained relatively flat (6,174 students compared to 6,231 last fall), Fall 2017 is the second largest total enrollment in the university’s history. At 1,012 students, this fall’s freshman class is the third largest in the university’s history. One of the largest areas of growth for the university was among out-of-state students – MSSU was up 4 percent from 1,176 students last fall to 1,216 this year. The university’s Lion Pride Tuition program, which provides the in-state tuition rate to students from every state bordering Missouri as well as Texas, has continued to attract new students. At $183.37 per credit hour, Missouri Southern remains the lowest cost-per-credit-hour university in the state, as well as the Four State Area. While the university recorded enrollment growth in many of its academic programs – notably Biology and Environmental Health, as well as Education and the Health Sciences areas – its position as the medical education leader in the region is reflected in the enrollment numbers. That growth should continue next semester, as the Nursing program, which was just named the Most Affordable Nursing Program in the state by CollegeChoice.net, expands its 60-student cohort to 90 students beginning in January. In general education enrollment, Missouri Southern also saw a 10 percent increase in distance learning students, pointing to a growing trend of learners who prefer the convenience of online courses. Another area of strength is in the quality of students the university is attracting. 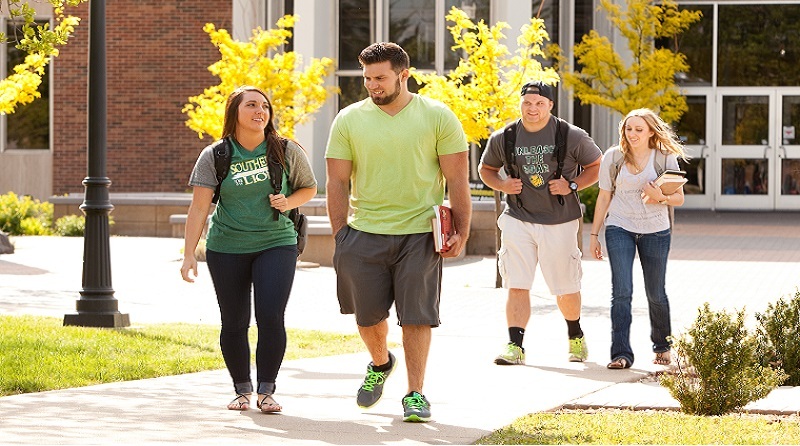 Admission test scores and the GPAs of students seeking acceptance into MSSU have shown an increase (72 percent of admitted students have earned a 3.0 GPA or higher), and the number of students taking college courses while still in high school – known as “dual credit” students – rose by more than 3 percent.